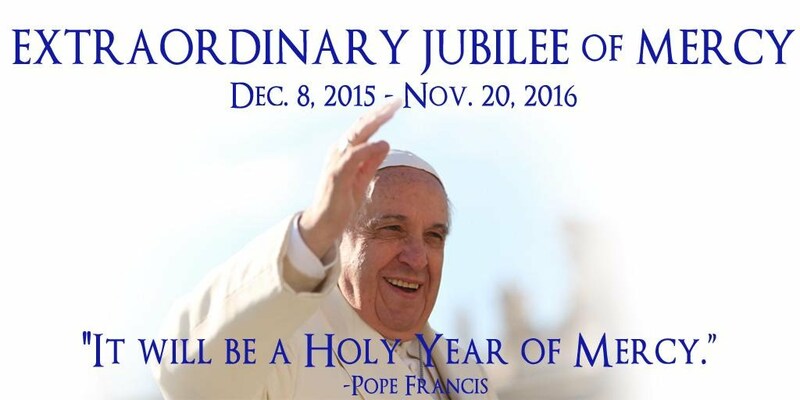 Pope Francis invited the whole Church to celebrate a Jubilee Year of Mercy between 8th December 2015 and 20th November 2016. The idea of a Jubilee Year comes from the Bible; a jubilee was a time when debts were cancelled, slaves were freed, and wrongs righted. The Church continues this tradition by occasionally declaring a 'Jubilee Holy Year', sometimes with a particular theme. The theme of this Holy Year is Mercy, focussing on taking God's message of mercy and love out to the whole world. The Carmelite Family in Britain and around the world marked the Year of Mercy through a number of initiatives. In this section of our website you will find various resources on the Year of Mercy, including the Holy Doors that were opened at our two sites of pilgrimage in Kent: Aylesford Priory, and St. Jude's Shrine in Faversham.